Get the Best Shatter Wax in Canada - Lowest Price Guaranteed! 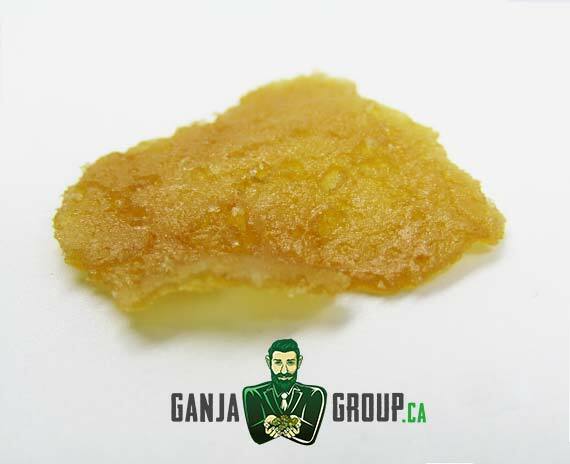 Ganja’s shatter wax is a concentrate that packs up high THC and CBD which ensures cannabis connoisseurs ultra-high potency from finely ground high-grade marijuana flowers. Our shatter is the purest cannabis extract available on the market today. If you are looking for a heavy-hitting high and a pleasant feeling that would last long, this product is the way to go. So what exactly is shatter wax? Shatter and wax are two kinds of BHO concentrates. Both are very much similar in terms of THC potency and their use in dabbing. The only difference is their appearance which is a product of how each concentrate is produced. Our shatter is produced using butane and by forcing the chemical through cannabis material. Wax goes through practically the same process but heated differently to produce a distinct consistently like that of peanut butter or ear wax. Effects: Due to its high potency, users will experience instantaneous and intense euphoria. 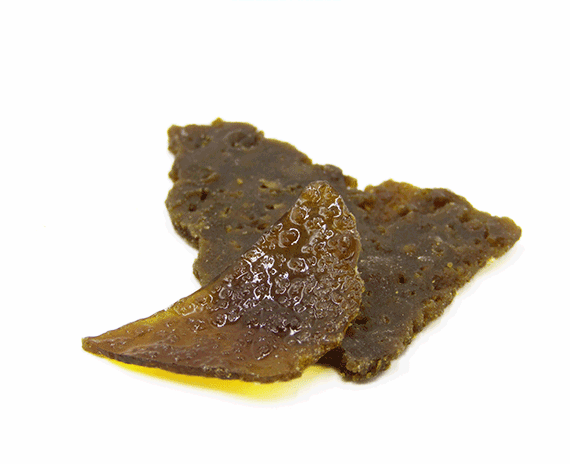 Benefits: Shatter wax offers both recreational and medical cannabis users a fresh way of enjoying marijuana. With very high cannabinoid concentrations, a hit would give recreational users an extreme high instantaneously. Similarly, medical users get the strong and fast relief from severe pain. Extraction: Shatter is known as butane hash oil (BHO) and starts life with butane extraction. It is a by-product of injecting pressurized butane into the top of a container full of finely ground marijuana flowers. The butane then oozes out leaving behind a concentrated hash in a clear, homogenous state. Butane is a highly flammable hydrocarbon; hence it is unsafe to do the extraction at home. Usage: How to smoke shatter wax? This concentrated weed can be consumed in many ways. For the shatter rookies, the easiest way is to crumble the shatter wax on top of the cannabis and roll it with a joint. There’s also the primitive way of smoking shatter by using vape pens. Or opt for a dependable rig for a more elaborate smoking experience. Love this Wax it crumbles up so nice to add to a joint. Tastes really smooth and Hashy. Great price too! You Guys Rock. Very nice crumbly wax, easy to work with. Good taste and excellent buzz. Would definitely buy again. Great wax, crumbled nicely to mix with some flower or perfect on it’s own in a vaporizer. Words can’t really describe the smell of this Wax/Shatter. As thats all we know I can say this smells Sour and Skunky at the same time. And the buzz is electric! I believe this reminds me of Concentrate made from early harvested buds, very eurphoric to start out! Great for the price! However I found there Shatter to be more tasteful but this has more of a honey bee oil taste and punch to it! Very Good taste ! amazing lots of terpenes ! Good job GG ! loved this wax! cant wait for restock! Was a bit crumbly, but very tasty and gives a good cerebral high. Very good price. Will order again!